18-35 years only. 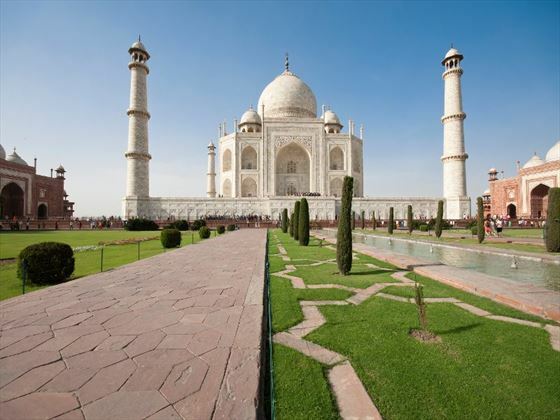 This exceptional value group tour offers nearly three weeks in enchanting India. Arrive in Delhi at any time and have a meeting with your group. You’ll start today with a guided tour through New Delhi led by rehabilitated street children to see the hidden corners of New Delhi. 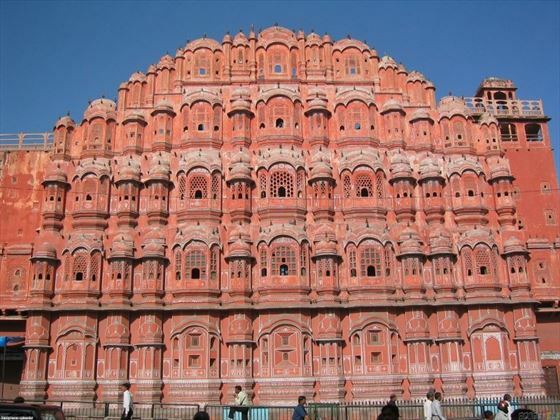 You’ll have the afternoon free to explore at your leisure, then afterwards you’ll take an overnight train to Bikaner. Today you’ll arrive at your hotel to freshen up before starting your desert adventure. You’ll be going on a camel safari riding across this semi-arid region before pitching a tent and enjoying an unforgettable night amongst the dunes. On the fourth day you’ll head back to civilisation and visit Bikaner and enjoy a walk around the Old City and the markets. On the fifth day you’ll head to Jaisalmer known as the ‘Golden City’ in the heart of the Thar Desert. You’ll have the opportunity to explore this city for the next couple of days. 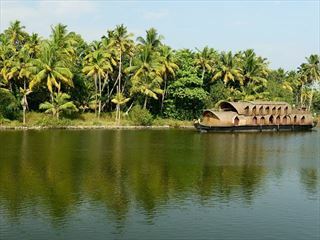 Wander through the streets and visit the fort and temples it has to offer unlike any other region you will find. Here you can watch the sun set down on the fort – spectacular views. Today you’ll travel to Jodhpur which is known as the ‘Sun City’ for its lovely sunny weather. You’ll be able to enjoy an authentic experience here as you haggle in Sadar Bazaar. You’ll also visit the impressive Mehrangarh Fort. 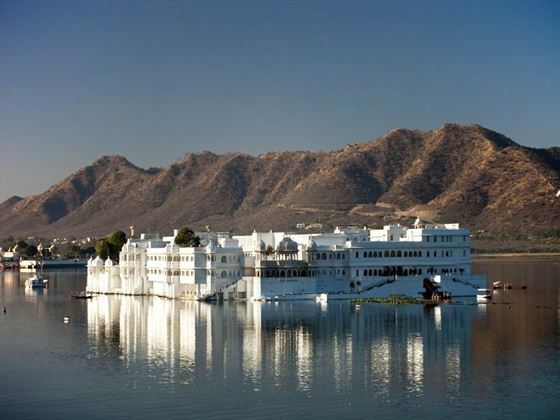 You will then travel by bus to spend the next couple of days in Udaipur, a lovely city which is home to beautiful palaces and incredible natural scenery. Take an orientation walk around the city, visit the Lake island Palace and opt to enjoy a dance performance at Bagore Ki Haveli. You will have plenty of time to see the wonderful temples, museum and even opt to go to a Show in a palace. 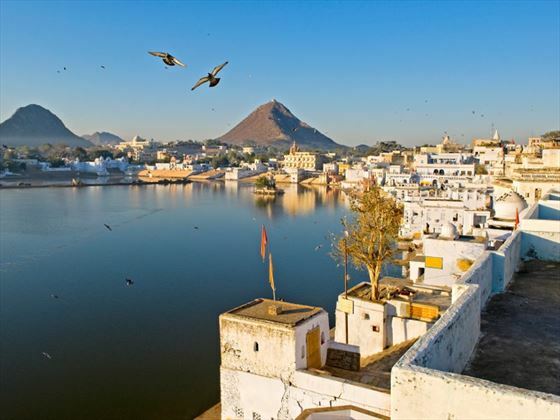 Take an orientation walk around the city of Pushkar to really get a feel for the city. During your time here you can climb a hilltop to visit the world’s only temple to the Hindu god of creation, Brahma or why not take a ride through the desert on a ‘desert horse’ (camel)? – make sure you take your camera. 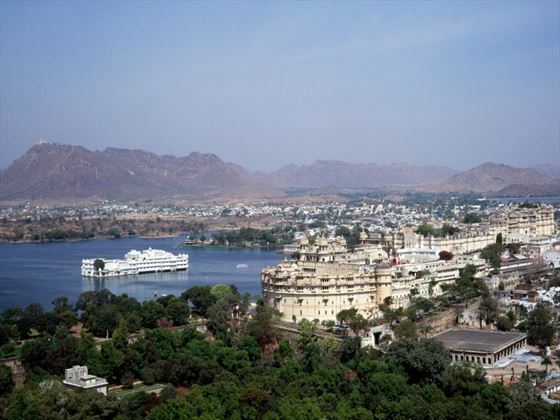 On day 12 you’ll travel to Jaipur, the capital of Rajasthan. 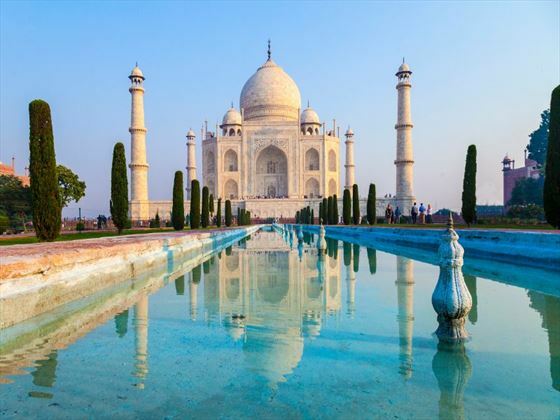 This is one of India’s must important cities and contains the Palace of the Winds, the second most visited site in the country, after the Taj Mahal. 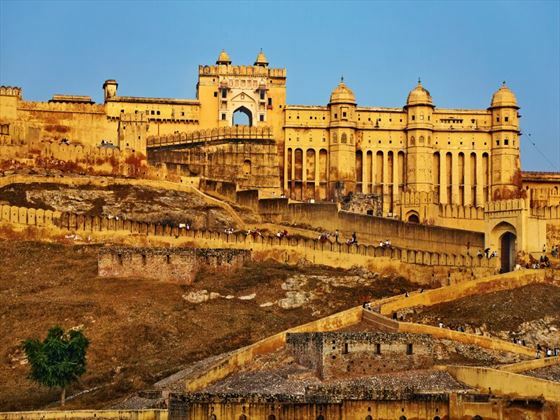 You’ll take an orientation walk, enjoy a guided tour of the Amber Fort and also enjoy free time to explore at your leisure where you can watch a Bollywood film at the cinema or perhaps begin your day with a sunrise balloon ride. 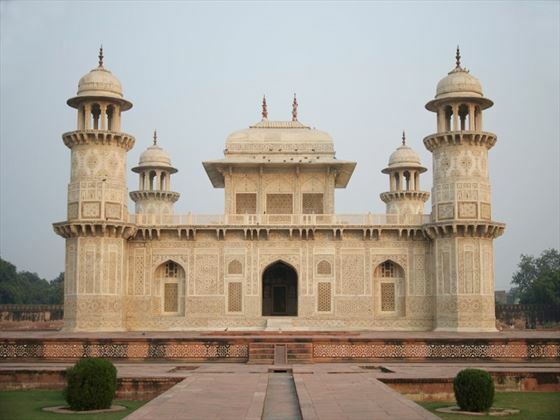 Today you’ll head to the Muslim city of Agra for the home of India’s most truly iconic sights. 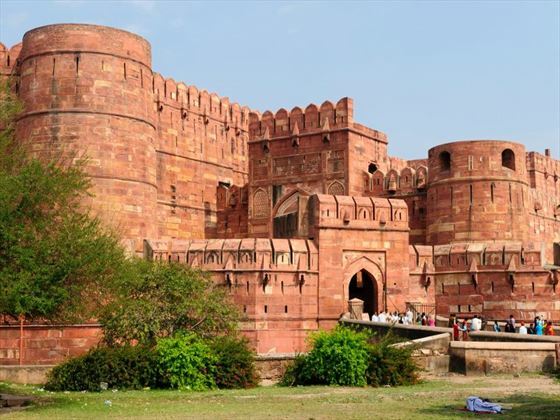 Here is where you’ll take a guided tour of the Taj Mahal and you’ll get the chance to see Agra Fort and Baby Taj (Tajs’s sister monuments). On the 16th day you’ll reach the holy city of Varanasi which sits on the banks of the Ganges River. 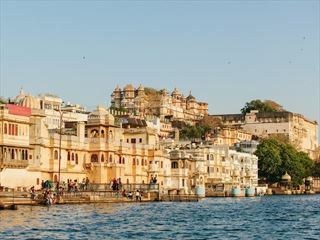 You’ll enjoy a cruise on the Ganges itself, as well as having free time to explore. Wander through the street to shop in local markets and visit nearby monasteries. Late on day 18 you’ll board an overnight train. 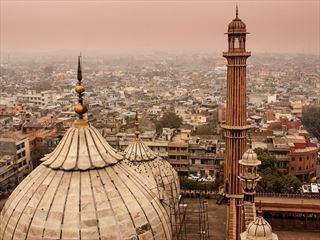 After your train journey you’ll arrive in Delhi with the rest of the day free to explore the temples, markets and museums in this fast-paced city. All internal travel: train, metro, local bus, charter bus, tuk tuk, small riverboat, camel, 4x4 vehicle.